Now featured: Baby Blue Eucalyptus! Considered a broadleaf evergreen tree, baby blue eucalyptus retains its bluish-gray juvenile foliage even as it matures. In the spring, the stems produce white flowers that develop into the silver, waxy seedpods. Baby blue eucalyptus originated in Australia, but in the United States it is primarily grown in California. This variety of eucalyptus is a good-sized plant for a small garden plot or a patio pot. 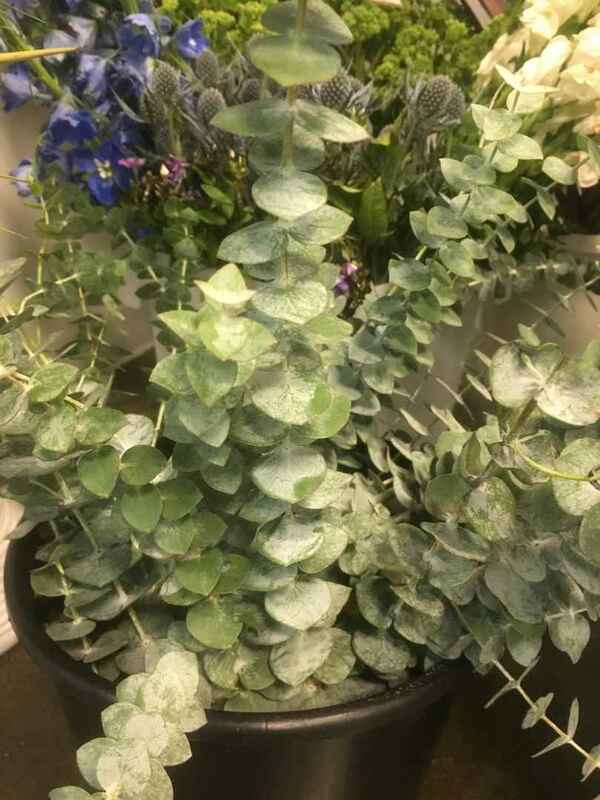 A fragrant plant, baby blue eucalyptus makes a perfect addition to any cut arrangement or bouquet. Contact us or visit our store to order your arrangement of Baby Blue Eucalyptus today!